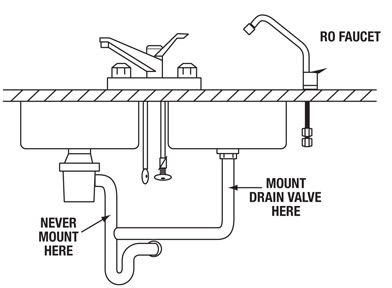 AMI Drain Saddles for Home RO Systems, Connects RO Waste Water to Drain | Applied Membranes Inc.
Used to connect reject line of point of use RO system to the sink drain line. The clamp style body will fit drain pipes up to 1-½” diameter and should be installed between the sink basin and the trap. 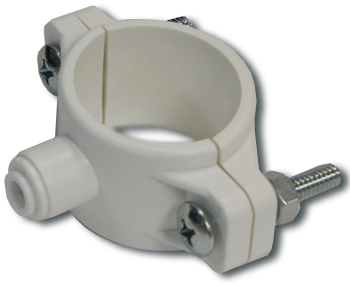 Available with two styles of tube connection: quick connect (QC) or male threaded with compression nut. Provides leak-free connection to the sink drain for RO waste water. 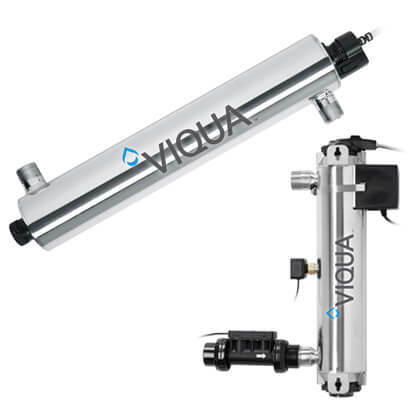 Compatible with all RO systems using ¼” tubing. Available in male threaded with compression nut, or quick connect styles.